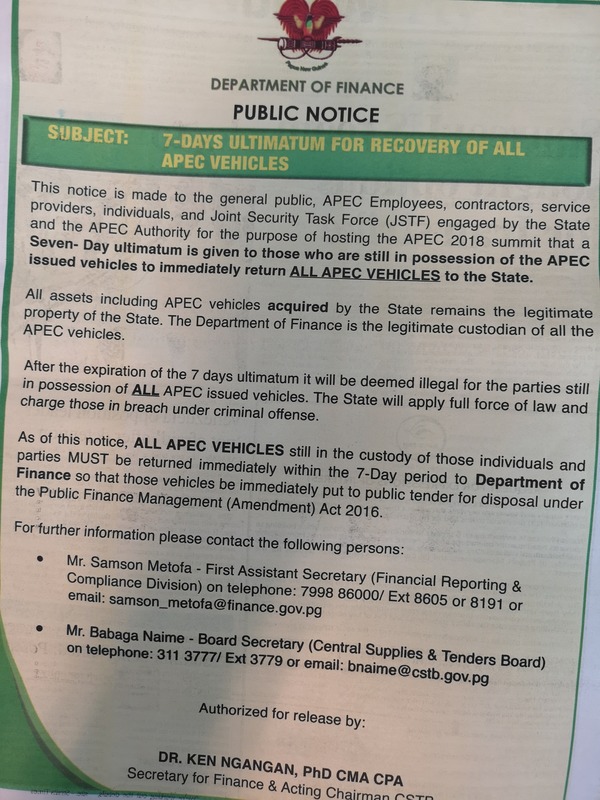 Dr Ken Ngangan in a paid media release warned those continuing to hold APEC vehicles that they are at risk of being with a criminal offence if the vehicles are not returned within 7 days of the notice. The paid advertisement was published The National on 15 January 2019. It is a little uncertain as to why the Finance Department is issuing the notice rather than the authority in charge of APEC but it may be that the authority no longer exists as a legal entity hence the Finance Department taking charge of the recovery and disposal of these assets. 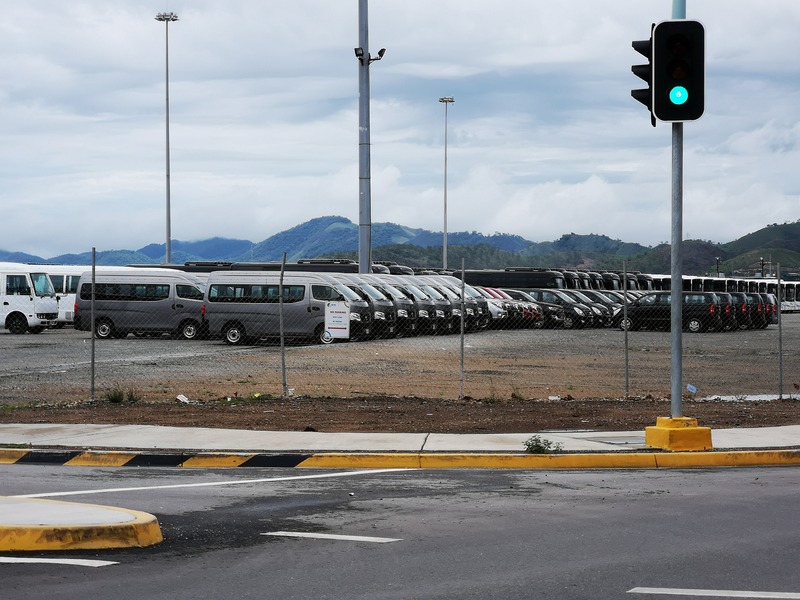 Those vehicles recovered are now held at the Port Moresby wharf for further action by the Central Suppliers & Tenders Board who will then arrange for the tender of each of the vehicles. 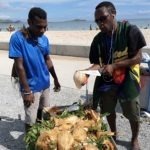 The notice has been made to “the general public, APEC Employees, contractors, service providers, individuals and Joint Security Task Force” who were heavily involved during the APEC meet in November last year. It’s concerning that such and advertisement is being made in the daily paper as one would have thought that an asset register would have been created and held until the disposal of the vehicles. The notice in part indicates that Finance Department may not know where some of these vehicles are hence the public notice.